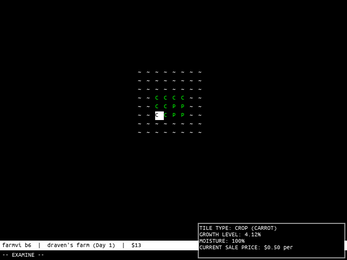 farmvi is a quiet, minimalist game about farming. 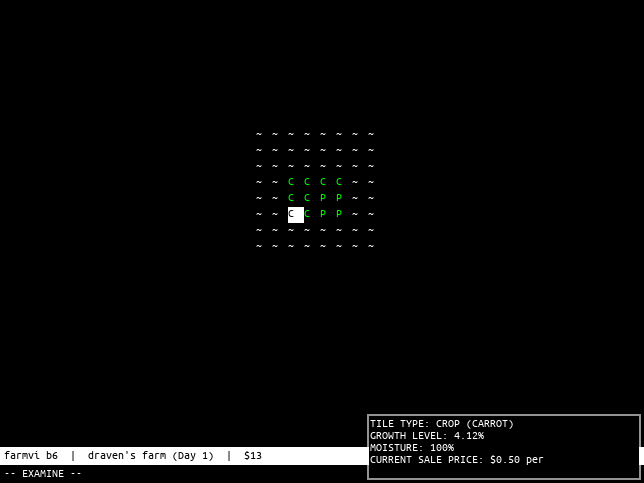 plow, seed, water, harvest. 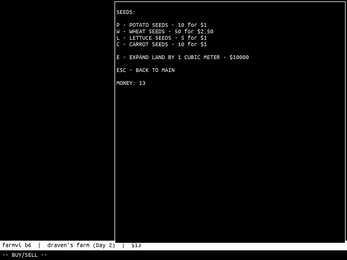 automate your tasks so you can watch your farm make money. 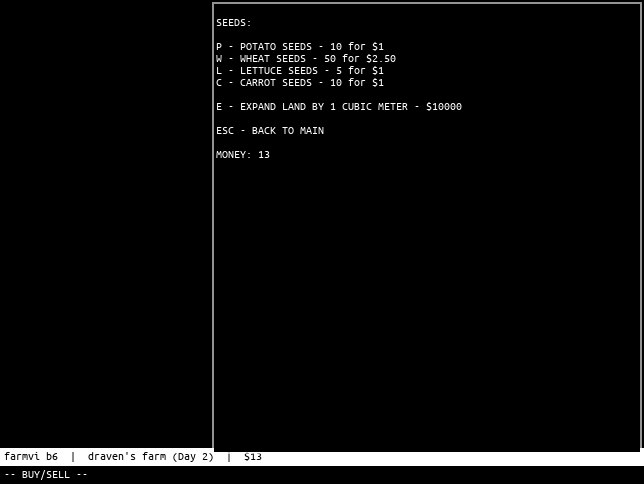 buy more land to expand your farm into the not-so-vast reaches of the data plains. that's really about it. updates may come eventually; in the meantime, feel free to mod to your heart's content.